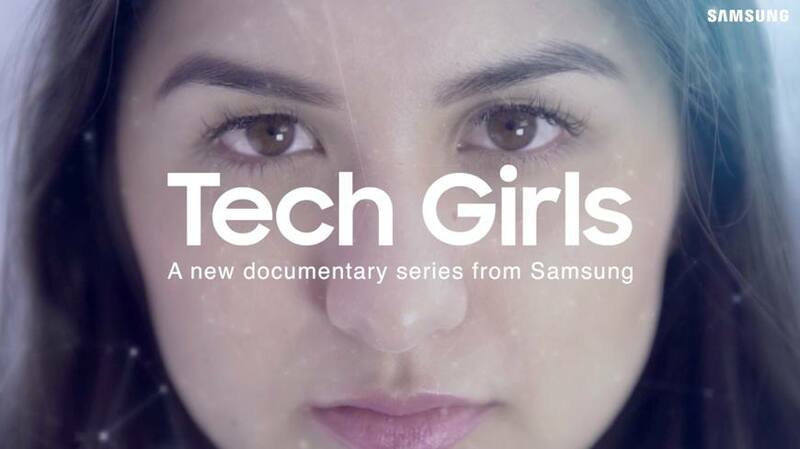 Samsung Brazil has launched ‘Tech Girls’, an integrated campaign to champion real stories of women who fight to be acknowledged in the world of Science, Games and Entrepreneurship. The poignant campaign, which includes a docuseries and a collection of ‘Dumb Inventions’ posters, was created by Isobar Brazil and The Story Lab Brazil. The Tech Girls ‘docuseries’ aims to draw attention to gender discrimination in the workplace today, and to encourage people to break gender stereotypes. The campaign consists of three episodes that will be released over a two-month period featuring testimonials from women detailing their experience of gender inequality and in the job market, especially in Science, Games and Entrepreneurship industries. Tech Girls initiative in Brazil is supported by ‘Dumb Inventions’ campaign posters, that light-heartedly illustrate the disparity between patents who have been granted to men and women, highlighting the valuable innovations that were denied as a result of the gender of their inventor. Examples include the first computer algorithm by Ava Lovelace, the first wood cutting machine by Tabitha Babbitt and the first washing machine by Ellen Eglin. Tech Girls addresses gender inequality as a vehicle for Samsung’s new global brand positioning, “Do What You Can’t”, reinforcing the brand’s commitment to society and to generating co-prosperity.